Thanks for coming to our Spring Fair! 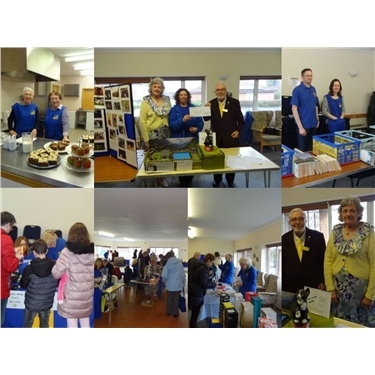 Our Spring Fair yesterday (Saturday 10th March) made a fantastic £700.95. This included £43 for photo competion entries and Mr & Mrs Canning gave an amazing additional donation of £260 from the sale of their cat calendars. Thank you to everyone who came along, to those who entered the photo competition and to all our amazing volunteers who work so hard to make this happen. Photo competition results were: Visitors' choice 1st Lilly (Mrs M. Allwood) 2nd Hunter (Edina Ivens) 3rd Dotty (Jan Peters) Best in show: Tammy (Elsbeth Martin-Dye) Congratulations to you all! !